The new trailer for next year’s highly anticipated ‘Batman v Superman: Dawn of Justice’ is here and it gives us some insight into why Bruce Wayne is so p*ssed off with the Man of Steel. The teaser video for Zack Snyder’s upcoming movie premièred yesterday at San Diego Comic Con and dropped some big clues about how the conflict between the two superheroes comes about. In the opening seconds, we see Bruce Wayne (Ben Affleck) watch in horror as his Wayne Tower building crashes to the ground. The implication is that the building was destroyed during Superman’s (Henry Cavill) epic battle with alien militant Zod in 2013’s ‘Man of Steel’. So, out for revenge, Batman comes out of retirement and sets out to take down Superman. Just hug it out, lads. The epic, over-the-top trailer also gives fans their first look at Wonder Woman (Gal Gadot) and Lex Luthor (Jesse Eisenberg). 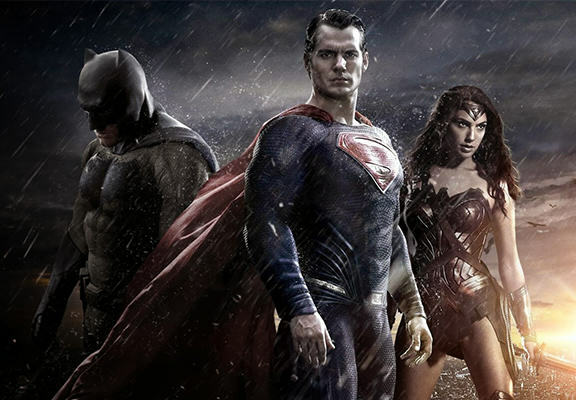 Batman v Superman: Dawn of Justice flies onto the big screen on March 25, 2016.